Product prices and availability are accurate as of 2019-04-13 19:07:16 EDT and are subject to change. Any price and availability information displayed on http://www.amazon.com/ at the time of purchase will apply to the purchase of this product. The cult horror shooter series comes to an apocalyptic conclusion with an epic new third chapter, a heart-pumping new horde mode, and remastered editions of the best-selling Nazi Zombie Army 1 & 2. 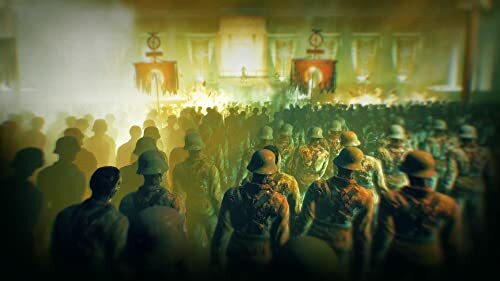 In the dying flames of World War II, Hitler has unleashed one final, unholy gamble – a legion of undead super soldiers that threatens to overwhelm the whole of Europe. Fight alone or team up to save humanity from the zombie menace in this apocalyptic third-person shooter! Battle through THREE epic campaigns across 15 demon-infested missions. Play solo or fight back to back in online co-op for 2-4 players. Dare you take on one of the most intense and challenging third-person shooters in gaming? Face gruesome enemies with iconic weaponry and powerful explosives. 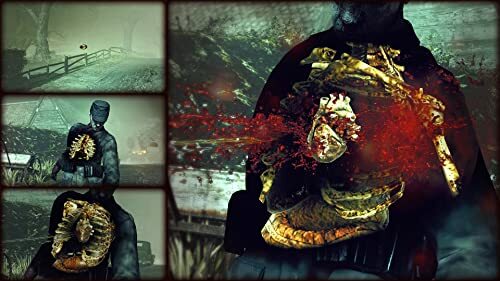 Dismember the undead to give yourself a fighting chance, and experience every putrid lung burst, every rotten bone shatter with the infamous X-ray Kill Camera. 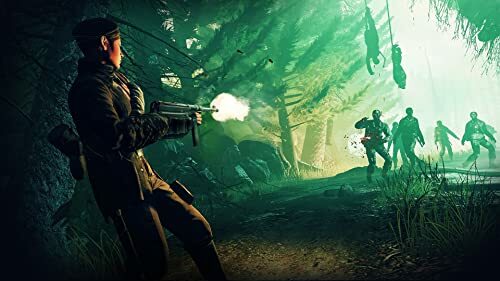 The ultimate horror package – alone or with teammates • Experience THREE nerve-shredding campaigns across FIFTEEN missions of intense third-person action. • Take the fight to the undead alone, or team up in 2-4 player online co-op. • Face your fears in the brutal new Horde Mode for 1-4 players, across 5 blood-curdling maps. Gut-wrenching gunplay • Defeat harrowing legions of zombies, armoured skeletons, fire demons, chainsaw-wielding elites - and worse - before facing the demonic Führer himself! • Shred the undead with genre-best rifle ballistics, powerful firearms and deadly explosive traps. • Wince as your bullets shred the insides of the undead in gruesome detail with the return of the series’ acclaimed X-ray Kill Camera. Customise your carnage • Choose to play as one of FOUR male or FOUR new female survivors. • Perfect your play style with CUSTOMISABLE weapons and loadouts. • Customise your DIFFICULTY and add enemy multipliers. Surely you would never brave “X4” on Sniper Elite difficulty ... or would you? Recut. Remastered. Unleashed. 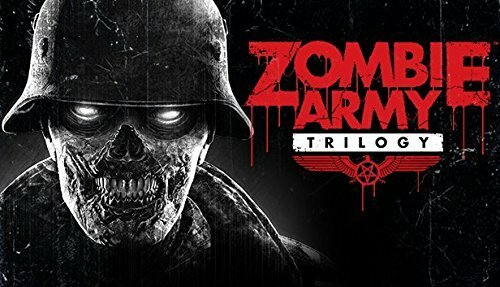 • Includes the first two Nazi Zombie Army games like you’ve never seen them before. 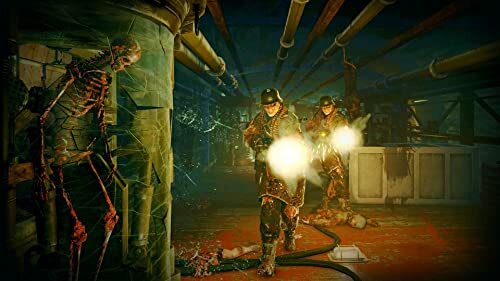 • Pick apart zombies with the new DISMEMBERMENT mechanic and bathe in a bloody glow of NEW graphical effects, NEW audio, NEW enemy animations ... and more. • Play your favourite missions from ANY campaign in ANY order in ONE unified online community. Additional Requirements: Windows® XP is NOT supported. Ensure graphics and audio drivers are up to date. Experience THREE nerve-shredding campaigns across FIFTEEN missions of intense third-person action. Take the fight to the undead alone, or team up in 2-4 player online co-op. Face your fears in the brutal new Horde Mode for 1-4 players, across 5 blood-curdling maps. Wince as your bullets shred the insides of the undead in gruesome detail with the return of the series' acclaimed X-ray Kill Camera. Play your favourite missions from ANY campaign in ANY order in ONE unified online community.